10) There are over 700 (!!!) exhibitors on the floor. That’s a lot of people selling their wares—everything from fan-faction authors to t-shirt vendors to vintage comic book sellers. (“Wait, you want how much for that Wonder Woman comic?! ?”) Heck, there’s even a place where you can get a 3-D image of yourself gussied up in your Shazam costume. 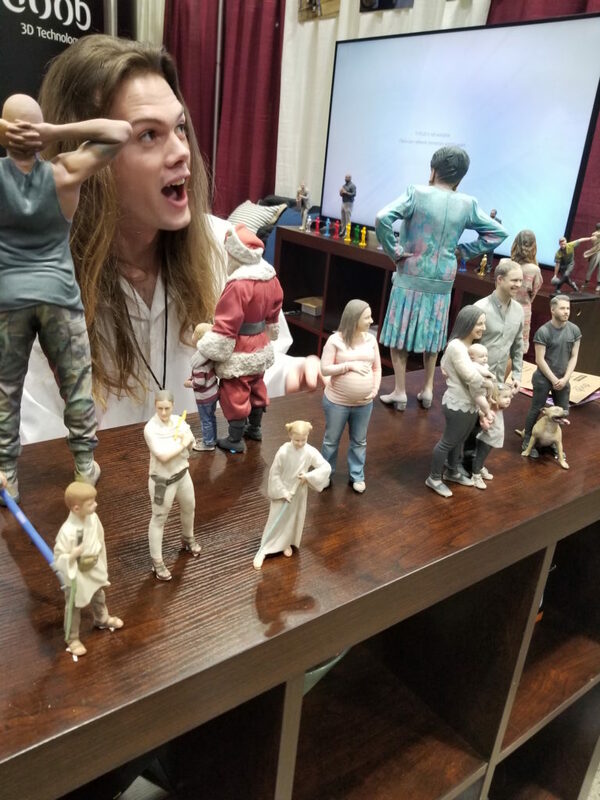 Turns out the folks at DOOB brought a contraption to the convention floor that can create a hand-held, mini-action figure of yourself. 9) I eavesdropped on a lot of conversations while I was there. I understood virtually none of the words coming out of people’s mouths. Same planet, different worlds. 7) People like what they like. I could go on for hours about all the niche vendors I spotted. Smurfs—check. Sleestaks—check. Slutty Supergirl paintings—check. 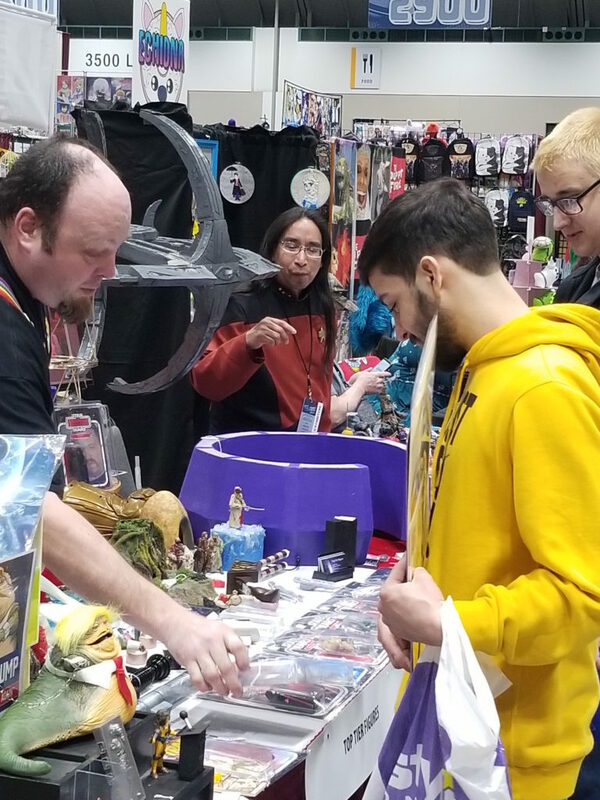 Anything you could possibly want, Planet Comicon offers it—in spades. 2) Speaking of, scoring an original Star Wars star to appear at your convention takes an act of god—and a Brinks trunk filled with money. 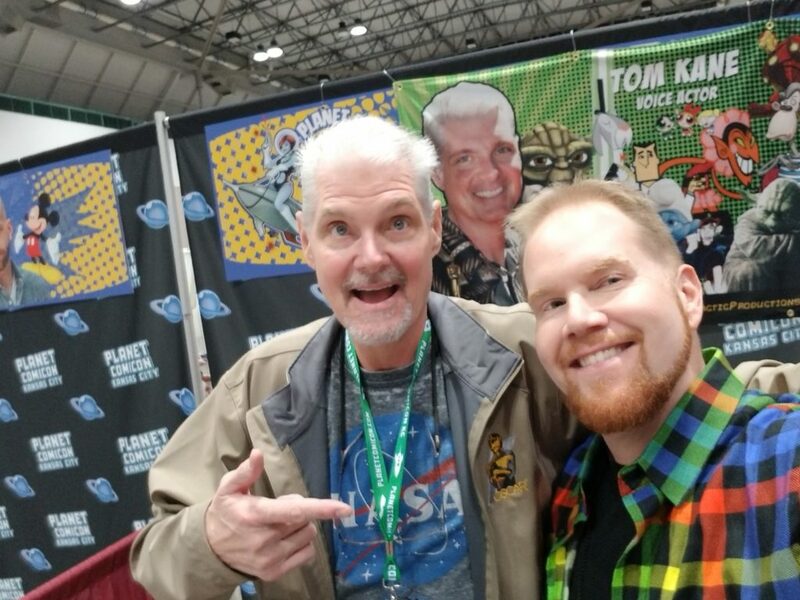 A quick check of the interwebs revealed Mark Hamill, for instance, can command upwards of $800,000-$1,000,000 for a two-day appearance at one of these conventions. 1) Nice work if you can get it and 2) nice to see him getting the work, I guess. 1) It’s oh-so family friendly. 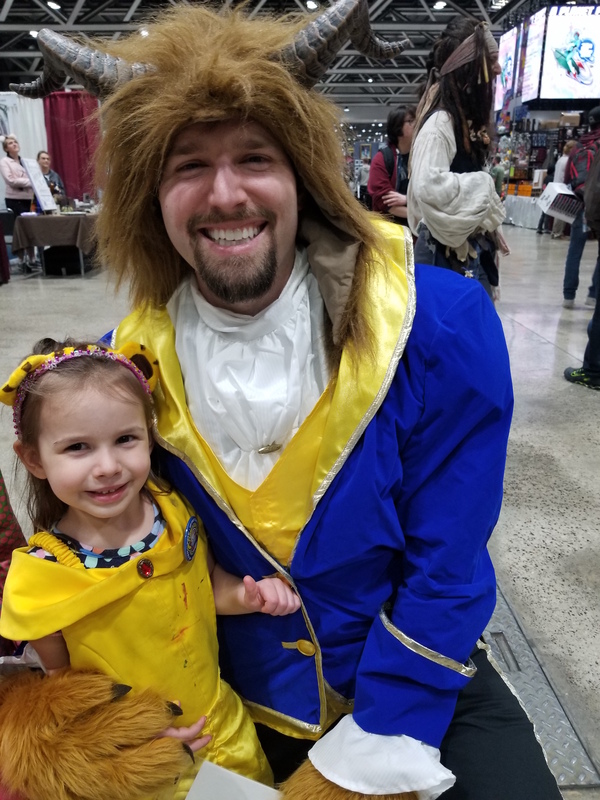 I spied fathers who dressed up as Beast with several of their toddler daughters in tow dressed up as Belle. 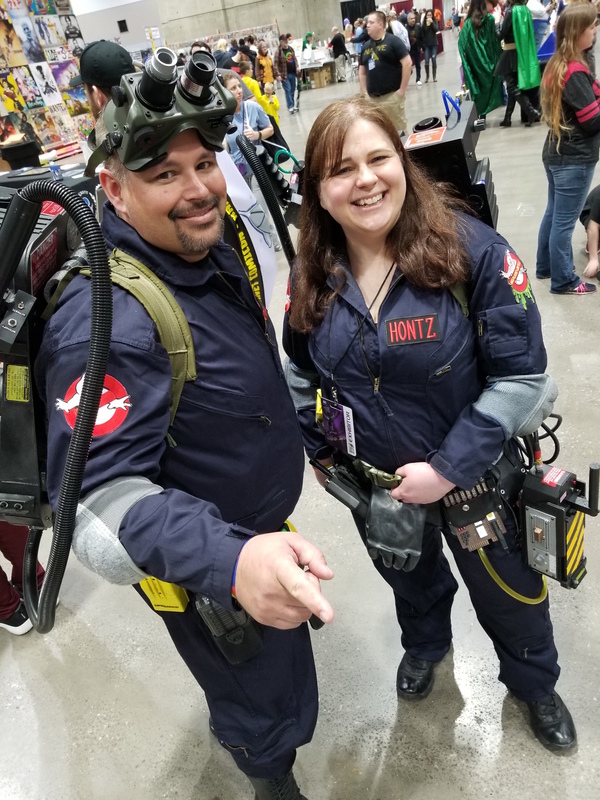 There were mother-son Ghostbusters. Heck, I even saw an entire family of Power Rangers—including an infant. 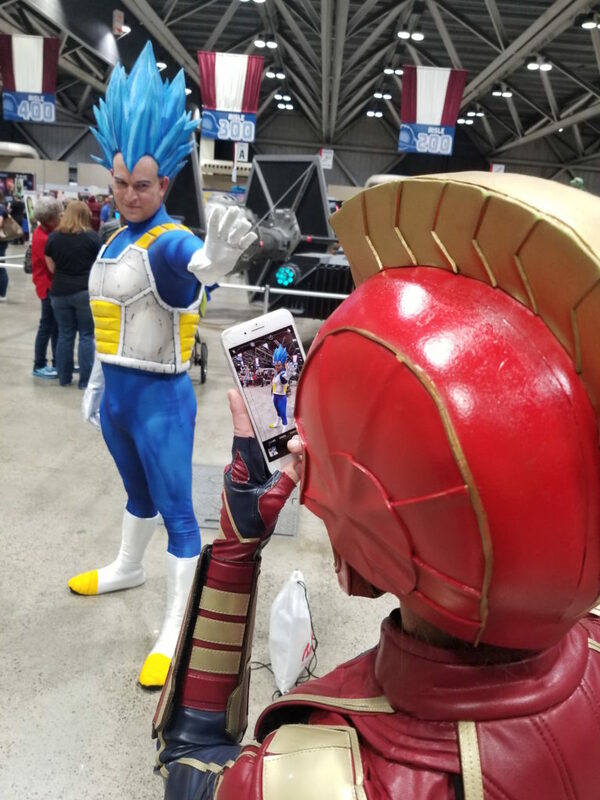 You know what they say, the family that Comicons together, stays together.